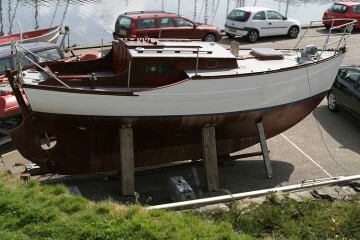 A classic Hillyard 5 Tonner built by David Hillyard at Littlehampton in 1956 from Mahogany on Oak. 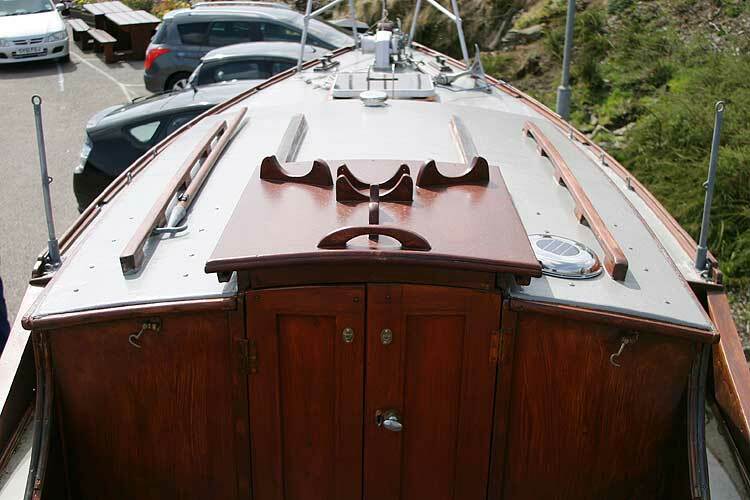 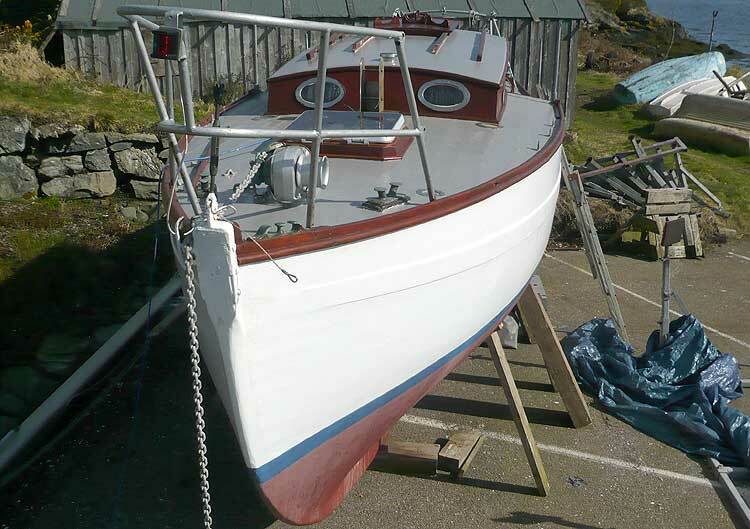 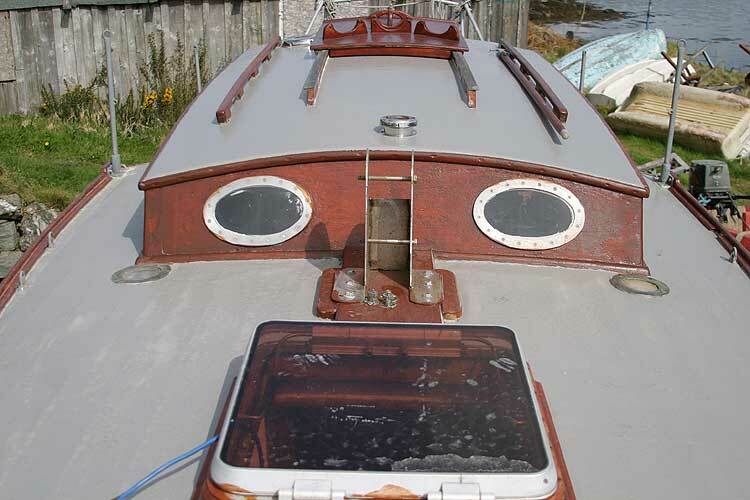 Extensively rebuilt in 2004 by McCallum's boatyard in Tarbert, she has just been refurbished and re-engined (2010) bringing her back into good condition and ready to sail. 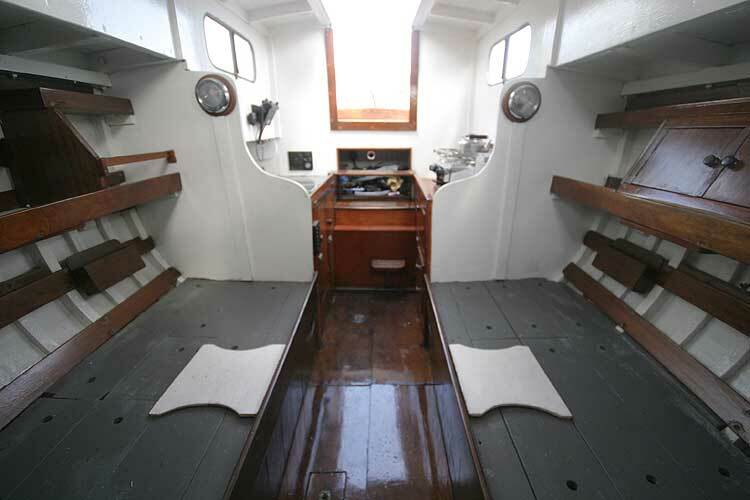 She is a traditional cruising yacht of the period with straight raked stem, 2-level deck, raised coach-house, aft cockpit, short aft deck and transom stern. 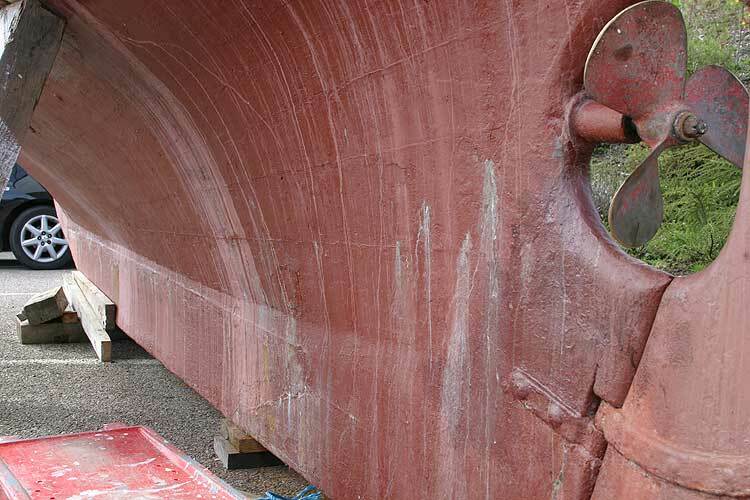 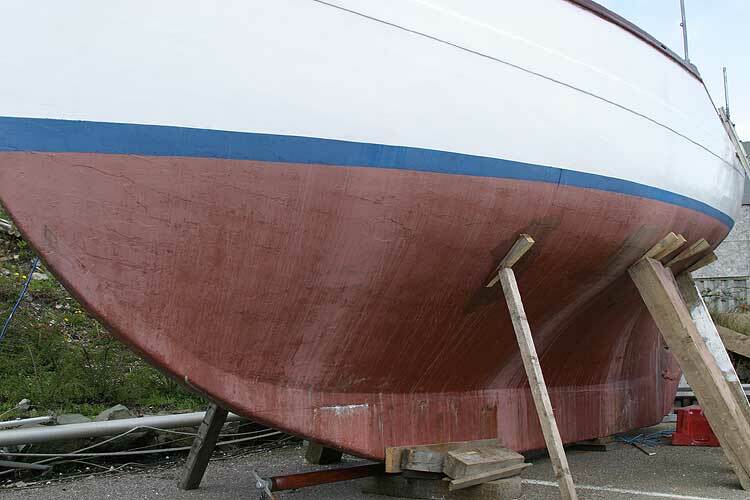 She is of Carvel construction with a curved forefoot, full length ballast keel, single screw, tiller steering and transom hung rudder. 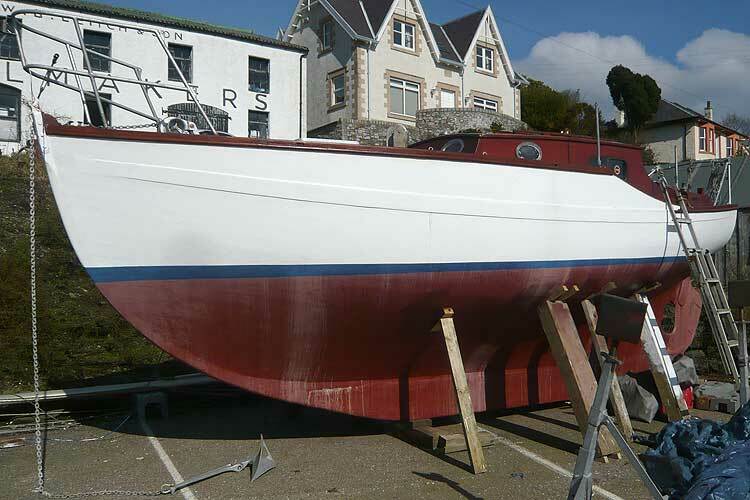 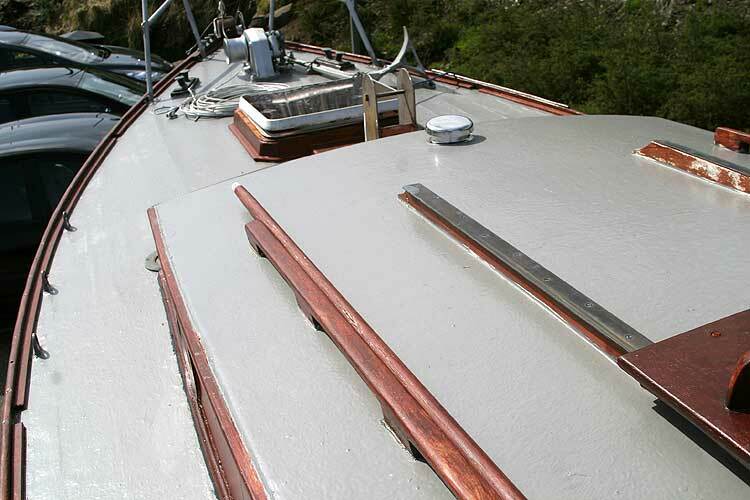 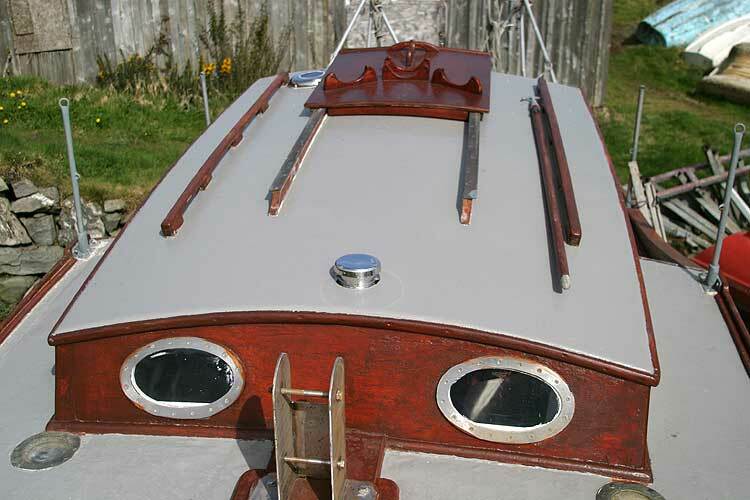 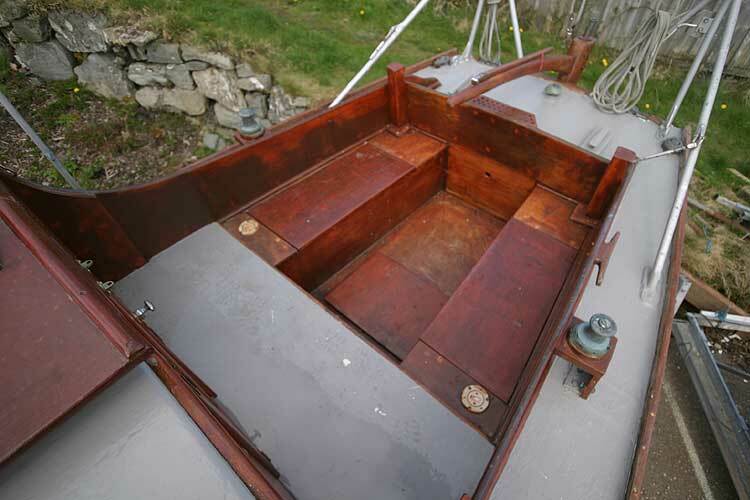 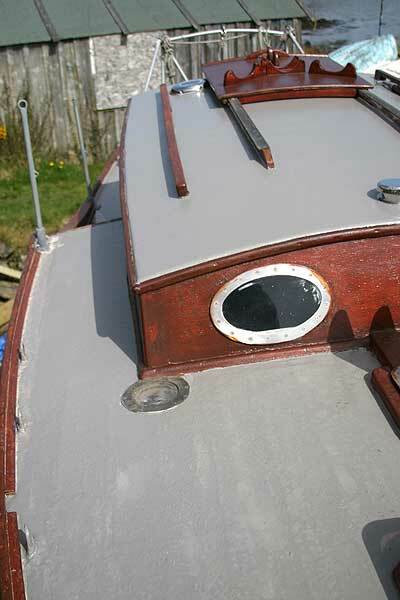 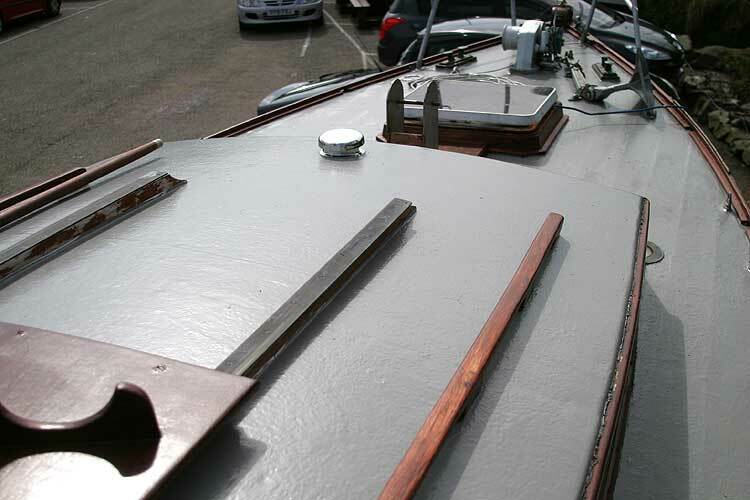 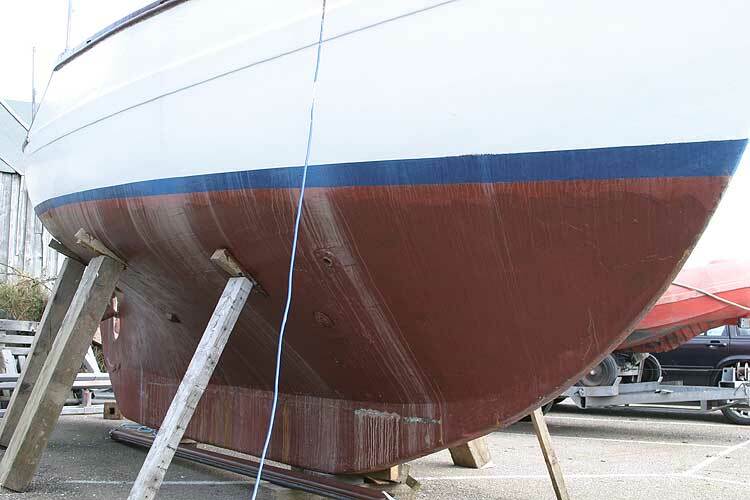 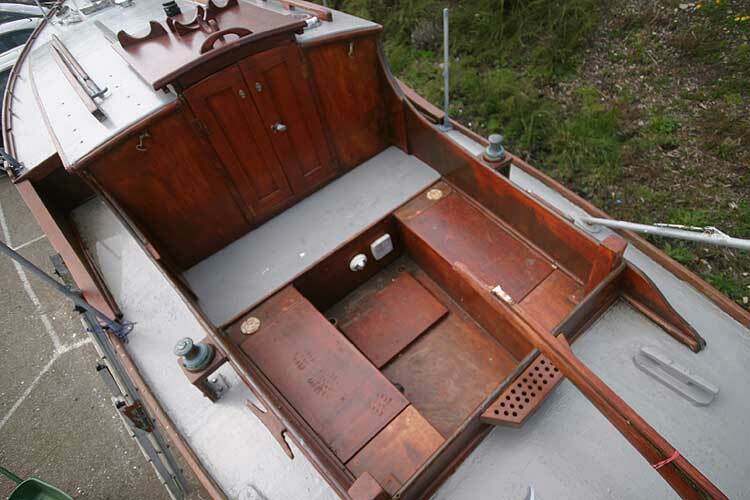 The deck and coach-roof is of tongue and groove planking with plywood inserts and covered with GRP and painted. 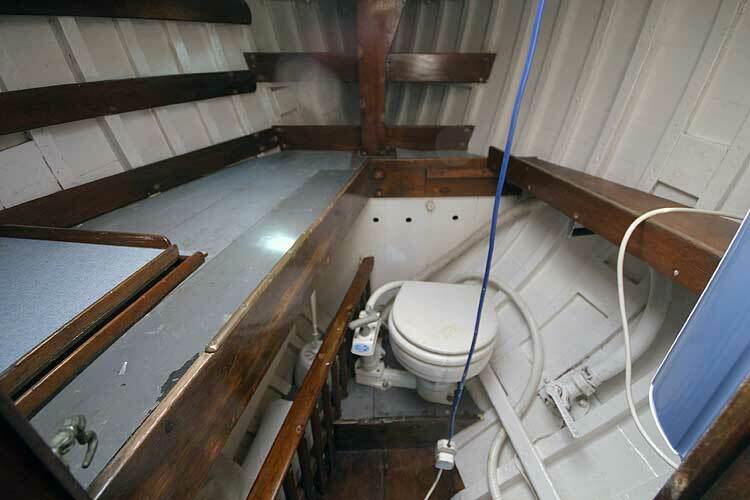 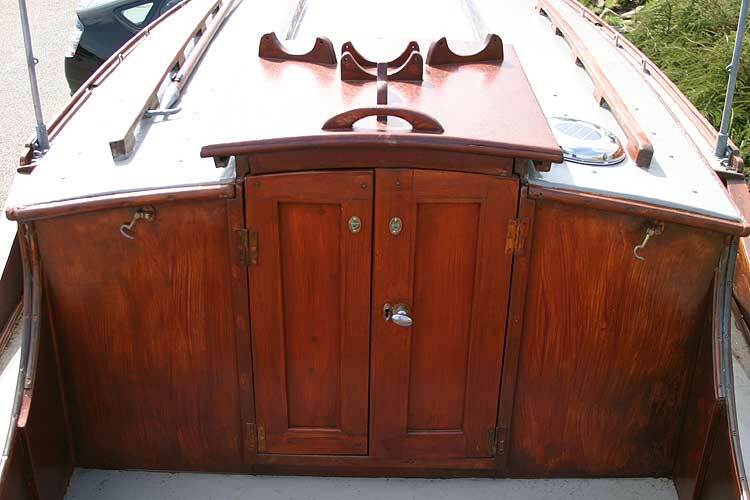 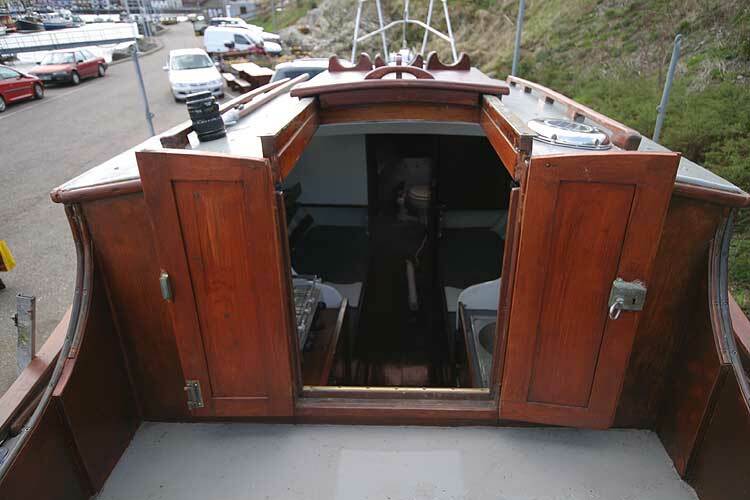 Fore cabin with closing timber door has Jabsco sea toilet, a single berth and storage shelves. 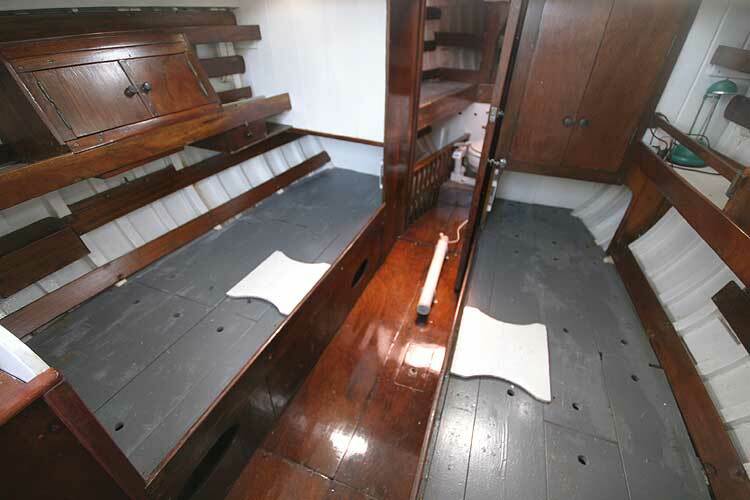 Main saloon has two settee berths with lockers underneath. 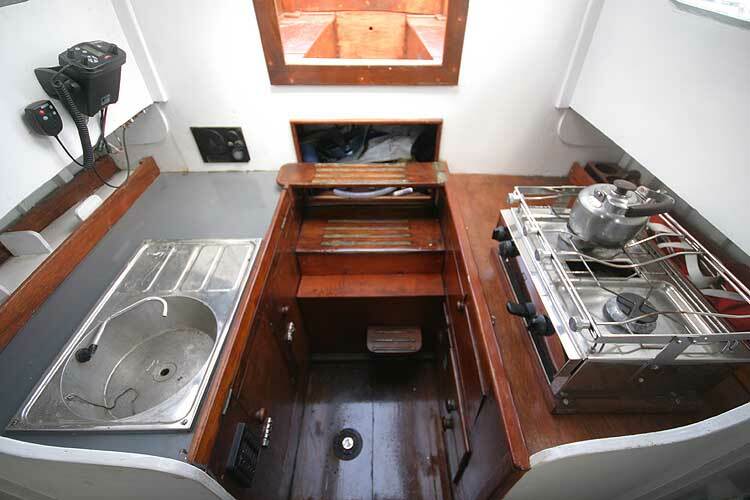 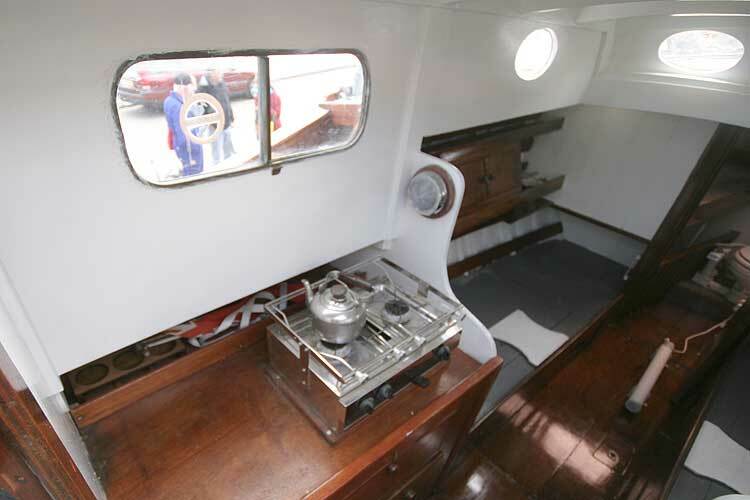 Aft of the main saloon the galley has a stainless sink to the starboard side and gas cooker with two burners and grill to port. 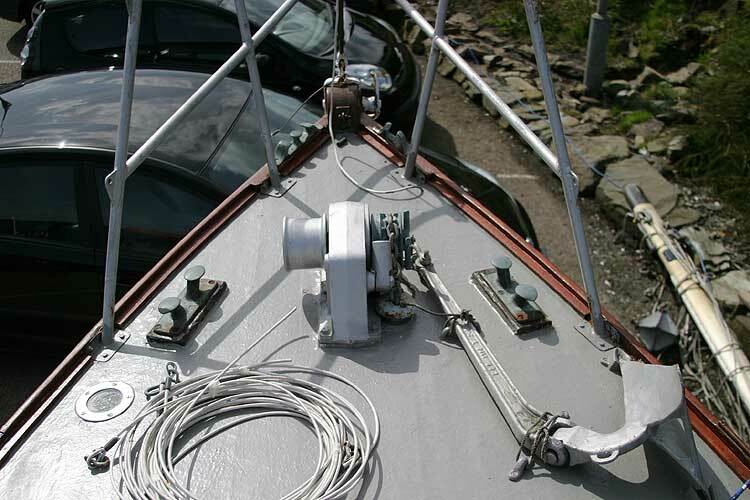 Fitted approximately in 2003 with a new alloy mast with in mast reefing, new standing rigging in 2003. 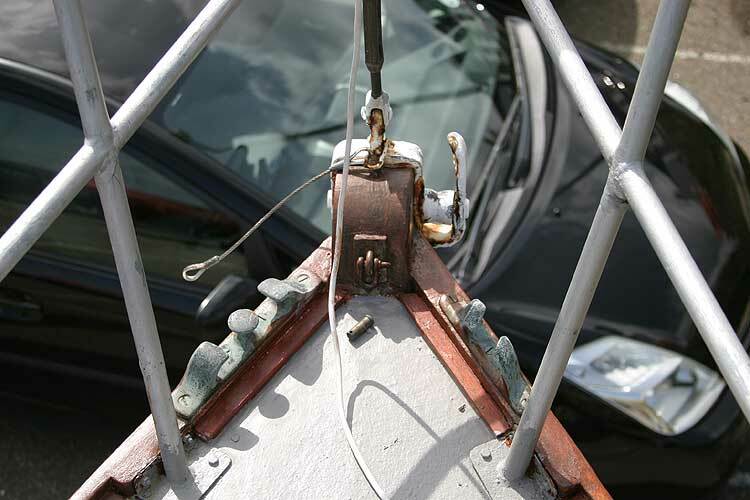 New running rigging in 2010. 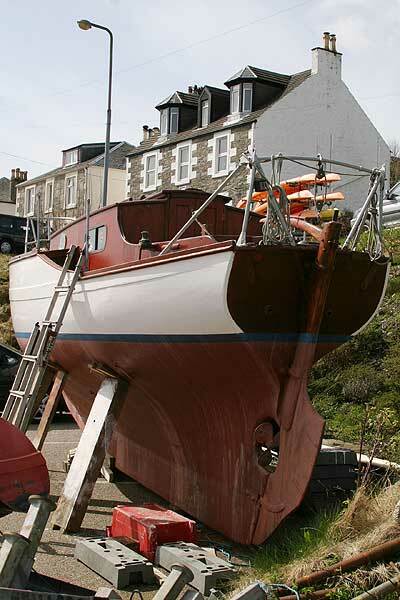 Original timber boom fitted with new gooseneck and roller reefing ratchet in 2003. 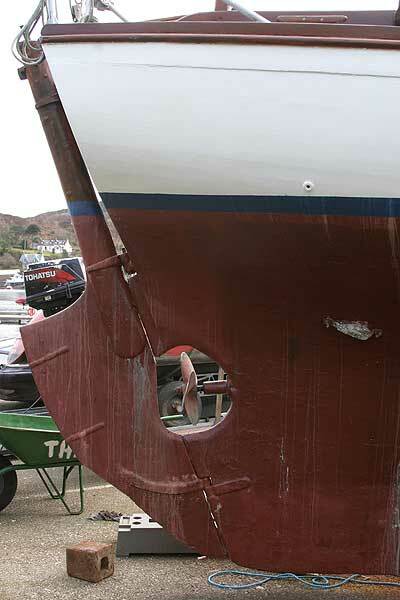 Depth and Speed log. 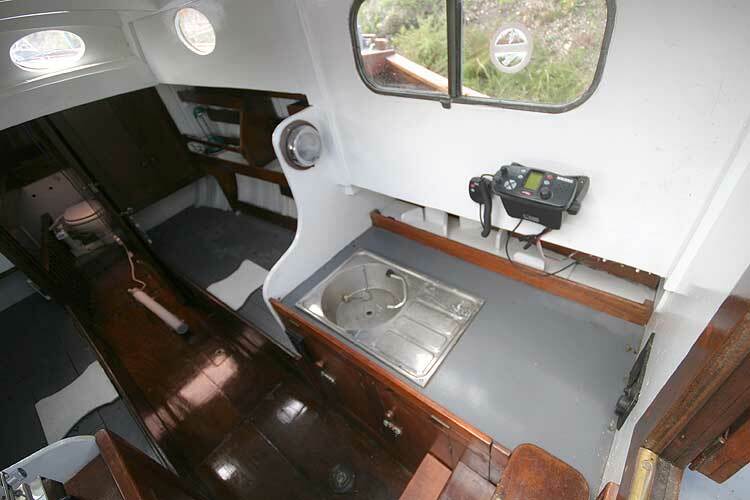 DSC VHF radio. 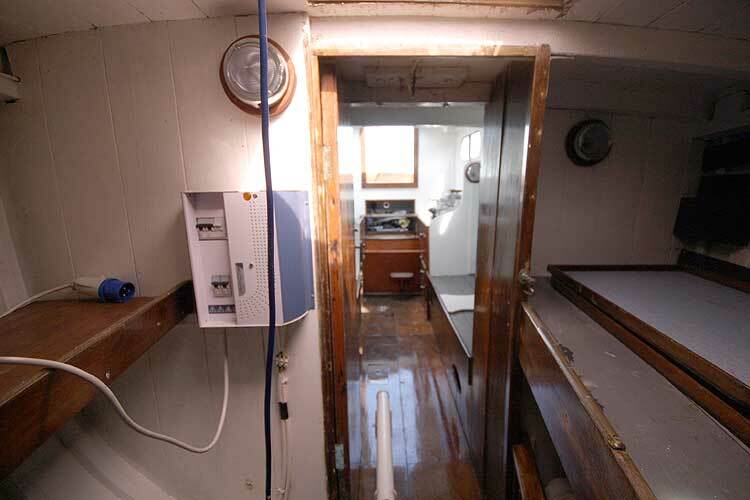 12 volt electrical system with shore power connection. 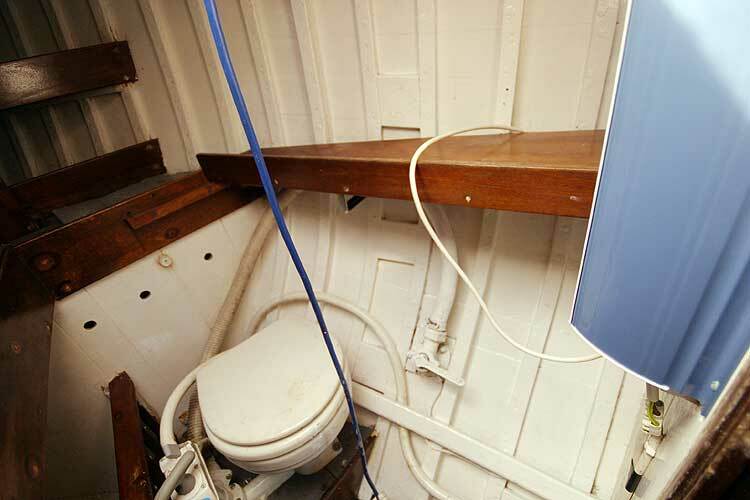 CQR anchor stored on deck with 5/16" chain stored in chain locker. 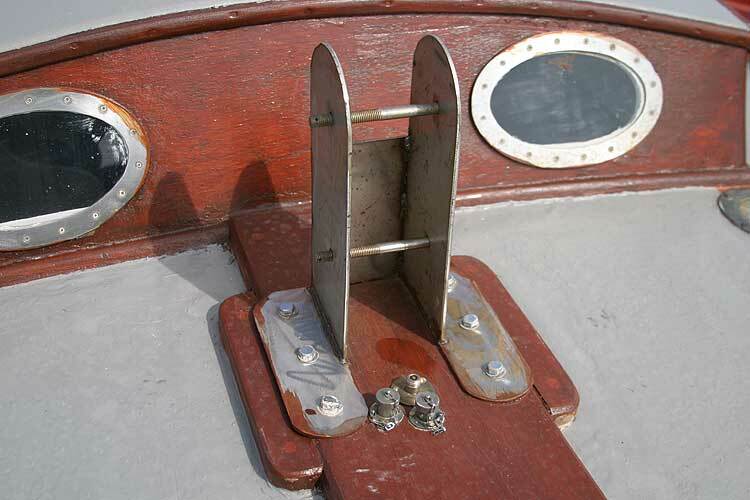 Manual anchor windlass. 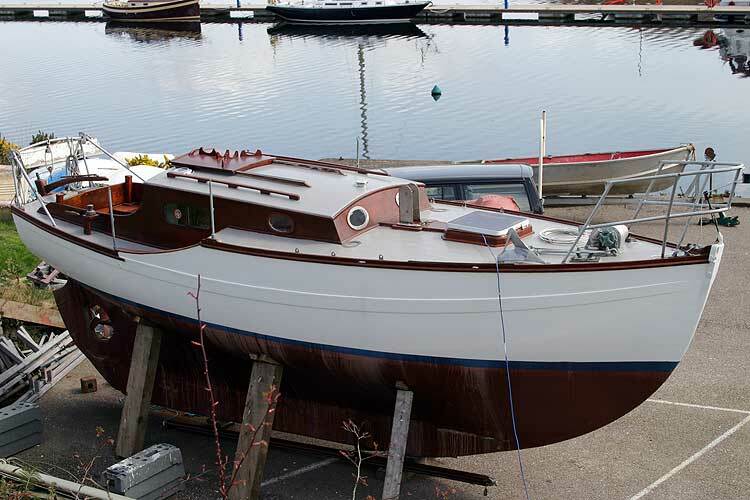 This boat is no longer for sale and remains here solely as an information resource for those researching Hillyard 5 tonner's.